The objective of JSC „Latvia's State Forests” (LVM) is to be a stable and predictable partner to its clients, including buyers for round timber – ensuring dependable deliveries as set in mutual contracts signed. The entities delivering the goods are chosen by LVM via open tender. The numbers are impressive for round timber delivery: 120-150 trucks en route daily, conducting 400-500 consignments and driving about 80,000 kilometers. 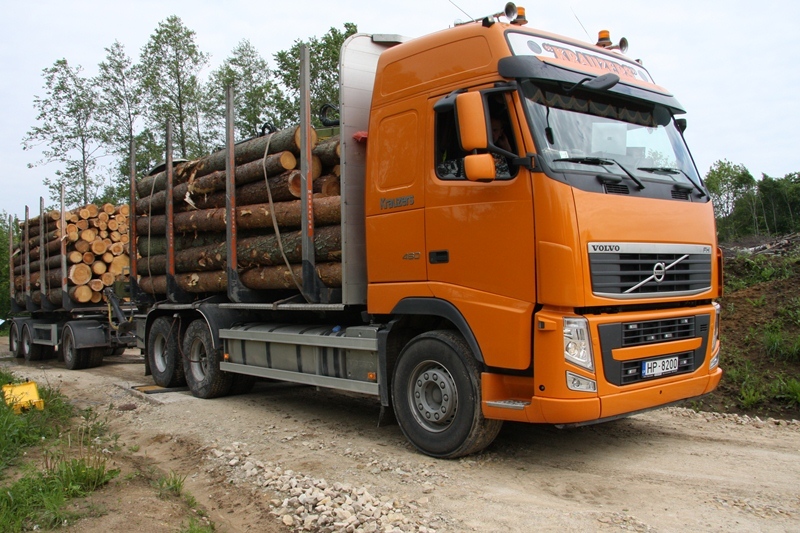 The trucks are laoded at 2,000 lumber yards, 12-15 varieties of sawn wood, for delivery to about 200 enterprises-clients in all parts of Latvia. As a result, the consignment possibilities and combinations for any specific product could total over a million. Transportation costs are a significant chunk of the product's total value, therefore rational planning of the route is key in delivery services. To set the best route, comprehensive information on volumes in upper end lumber yards is analyzed, as are their locations, distance, road network, all traffic restrictions, etc. Knowing the specifics of timber transport and hauling, traditional methods for routing on highways and byways are no longer effective enough. LVM therefore has devised adequate and effective route-planning solutions that allow clients to save money and increase guarantee of safe delivery. This, thanks to the modern and innovative logistics system implemented and utilized by LVM.